Do ANY of the below describe YOU? ~ Are you Single and haven’t found the “RIGHT” partner? ~ Are you divorced or widowed and worried about starting over? ~ Do you feel frustrated finding the same relationship problems? ~ Are you’re tired of being ALONE, but not sure you’re ready for a Relationship? ~ Do you sometimes wonder if maybe something’s WRONG with YOU? ~ Have you about decided you NEVER want another relationship? ~ Have you almost given up ever finding LASTING LOVE? …A 2+ Da y Workshop & Retreat to Learn Secrets to Find & Keep Lasting, Fulfilling Love! 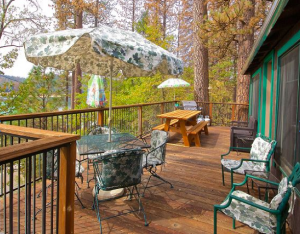 A LIVE 2+ day Weekend retreat in a Bass Lake Cabin where you will hang out with other “like-minded” Singles, make new friends and learn how to BREAK OLD RELATIONSHIP PATTERNS and help you IDENTIFY HIDDEN FORCES that magnetize you to the WRONG kinds of partners. You will learn a NEW WAY to communicate that actually ATTRACTS people to you. You will also discover the SHOCKING REASONS for your past relationship failures and how to change them! Finally, you will begin to create your ATTRACTION ACTION PLAN to BEGIN THE JOURNEY to the RELATIONSHIP OF YOUR DREAMS! November 4-5, 2016 ~ Monterey, CA ~ Early-Bird Discount available! September 16-18, 2016 ~ Bass Lake, CA ~Early-Bird Discount Available! ABOUT CAROL: Carol has been married 46 years and a Licensed Marriage & Family Therapist for over 20 years. Throughout the years, as a Certified Imago Relationship Therapist & Workshop Presenter, she has helped thousands of Couples & Singles FIND, CREATE & KEEP the Relationship of their DREAMS! Carol would be honored to also help you to Begin the Journey to the Relationship of Your Dreams!